I Suffered From Hypothyroidism For Years – Until I Discovered the Hidden Research That Changed My Life Forever. And Now, I’m Showing Hypothyroidism Sufferers Around the World How to Do the Same. Now YOU Can Follow the Exact Process That Took Me More Than 5 Months to Piece Together and That Has Helped Me and Over 17,000 People Overcome Hypothyroidism, Have Endless Energy, and Feel Like Their Younger Self — GUARANTEED — So You Can Get Back to Enjoying Life Again! Whether you’re aware of it or not, there’s a major problem today surrounding hypothyroidism diets and treatments. And unfortunately you’re caught right in the middle of it… Today, 99% of hypothyroidism diets and treatments, medically-based and naturally-based alike, don’t work, because they are missing key pieces to the hypothyroidism puzzle. They are mostly promoting diets, drugs, and supplements that are not only potential dangerous but offer nothing more than a band-aid fix in an attempt to cover up the MUCH bigger and more serious problem. In fact, I’m going to share with you the medical research showing that 90% of hypothyroidism sufferers treated by modern medicine today show absolutely ZERO IMPROVEMENT in their symptoms and thyroid function (actually their symptoms got worse). Sadly enough, even most natural treatments are just as bad and oftentimes worse. Not only do I know they don’t work based on medical research and clinical experience, but as a former hypothyroidism sufferer, I know this because I’ve tried a lot of these diets and treatments and experienced the frustrations myself. What I didn’t realize at the time was how many of these diets and treatments were actually quite dangerous and causing more damage to my thyroid. But that was before I discovered the Revolutionary Thyroid Research that changed my life forever, and that I will be sharing with you today. I’m going to give you the POWER to put an end to your hypothyroidism and suffering and not only change your life, but literally SAVE your life (I’ll explain how below). No matter how damaged your thyroid may be, you can overcome hypothyroidism and Hashimoto’s thyroiditis and your body can and will heal. Doctors and others who tell you differently simply use this excuse because they don’t have the answers. It’s time you accept the reality that what you’re doing right now is NOT WORKING. 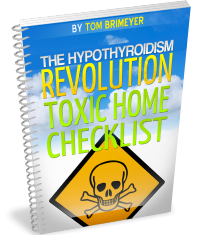 It’s time you start thinking outside of the box and take a more Revolutionary Approach to Hypothyroidism. Not only has this worked for me, but I’ve walked countless clients through this same process with the same amazing results. 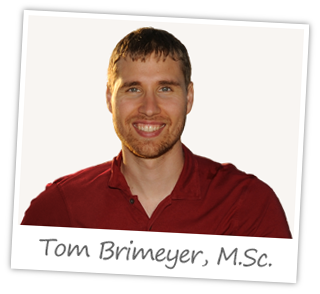 My name is Tom Brimeyer. I’m a Functional Medicine Practitioner, health researcher, and author on hypothyroidism, nutrition, and hormones. Years ago, after discovering this research and dealing with my own health problems, I found my calling in life and started a private health consulting practice where today I continue to consult with clients all across the world. Since I started sharing my work online, it has grown rapidly having reached more than 17,000 people across more than 60 countries. I take pride in empowered hypothyroidism sufferers across the world to take control of their own health instead of relying on a failing medical system that continues to do nothing to improve treatment standards and ignores the very research that holds the keys to the hypothyroidism puzzle. 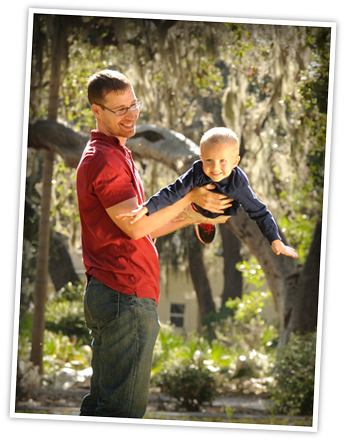 And in case you were wondering… Over there to the right, that’s a picture of me and my son spending some quality time together at one of our local parks. I spent many years searching for answers to my own health problems and it was a bumpy ride to say the least. I’m sure you can relate to some of the same painful experiences that me and many of my clients have experienced in the past. You’re so overwhelmed and tired that it’s an exhausting struggle just to make it through the day? You have to drag yourself out of bed in the morning when in reality you could sleep half the day away? You constantly have to stop, slow down, or even take naps from time to time? You struggle just getting your brain to function since it’s perpetually in a state of pain or fog? You’ve forgotten what it actually feels like to be your old happy and health self? You struggle with your weight no matter what you do or how hard you try? You’re overwhelmed by the uncontrollable anxiety, worry, and depression? You’ve completely lost control of yourself, watching your life fall into a downward spiral? You’re embarrassed by chronic digestive issues that always seem to pop up at the worst times? Your emotions have become uncontrollable never knowing what’s going to set you off next? You can’t be there for the ones who depend on you most like your children, family, and friends? Your struggles and insecurities with intimacy are taking a toll on your relationship? Ever since I was young, I’ve been fascinated by health and nutrition. I always took care of myself and considered myself to be quite healthy. But as I got older, that’s when reality hit me. While I did have a few minor symptoms that I ignored for a while, it wasn’t until I started putting in long hours at work and started a family of my own that my health began taking a turn for the worse. I developed high cholesterol and blood pressure, which I didn’t know at the time were some of the classic signs of hypothyroidism. You probably are not aware of this either, so I’ll explain more about this in just a second. But then things quickly got worse. My energy levels were on the decline. I was finding it more and more difficult to get out of bed in the morning and every single day after lunch my energy would crash to the point that I would find myself dosing off while staring at my computer screen. It became increasingly more difficult to function at work and perform to the best of my abilities. Needless to say, it was affecting my career and professional life. I would come home completely exhausted after work. My son, at the time, would be waiting for me to get home because all he wanted to do was play and spend time with me. I remember walking through the door and trying to get down on the floor with him, struggling just to stay awake. Home life was becoming increasingly more stressful and the stress and anxiety started getting the best of me. I constantly felt overwhelmed with life. And I was constantly beating myself up, because I felt like I couldn’t be there for my family when they needed me… physically, emotionally, or otherwise. I wasn’t able to be the parent or spouse that I wanted to be and knew I could be. This wasn’t the way life was supposed to be lived. I became so frustrated because I was doing everything I was told I needed to do to be healthy, but obviously it wasn’t working. I Knew Something HAD TO CHANGE! I spent years looking for answers, only to fail miserably time and time again. I tried numerous diets and supplements, most of which only made me feel worse. I even studied under one of the most well respected doctors in the field who personally trains all of the medical staff for Dr. Mercola’s Center in Chicago as well as medical staff at the infamous Mayo Clinic, known for treating some of the most difficult cases in the world. Considering the fact that what I was learning was considered to be the most advanced and innovated form of healthcare available today, I had very high hopes for getting the answers I needed. I started taking matters into my own hands. Instead of just listening to what everyone was telling me, I started looking into the thyroid and hormone research for answers. It wasn’t longer after that when I discovered the work of an independent nutrition and hormone researcher who studied the effects of energy production and aging. This was some of the most compelling research that I had ever seen and it opened my eyes into a world of hypothyroidism and health that I never knew existed. Not only did it explain why everything I had tried earlier did NOT work, but it explained “WHY” it was actually causing more damage to my thyroid and making my hypothyroidism worse every single day. 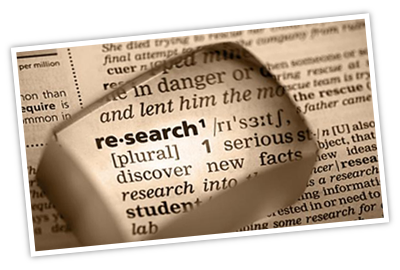 I studied this research for more than five months and began to find ways to incorporate it into my own everyday life. 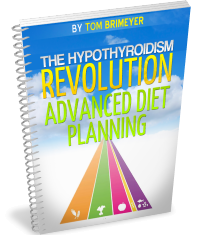 I slowly started documenting this research and putting together the bits and pieces until I came up with the “Plan” that helped me put an end to my hypothyroidism and changed my life forever. It didn’t happen overnight, but over the course of the next few months, I watched as my symptoms began to steadily improve and I transformed back into the happy and healthy younger version of myself that I remembered from all those years back. I started working with a couple of immediate family members who were experiencing issues with hypothyroidism, some of which were the same as my own. I wasn’t surprised when it worked for them too, and they began experiencing the same benefits that I did. 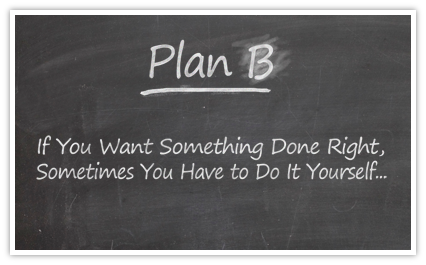 But it wasn’t until I started sharing this Plan over the internet that I realized just how big this was and that my life would never be the same. It was at that point that I knew that I had discovered my calling in life. Fast forward to today and now I’m consulting with hypothyroidism sufferers all over the world as I mentioned earlier. What If Everything You’ve Been Told About Hypothyroidism Is Wrong? Speaking from personal experience, ignoring hypothyroidism is one of the biggest mistakes you can make. The longer you continue to just “deal” with the symptoms, the worse they become and the longer it takes to heal. In fact, I made this very mistake myself and spent years trying to figure why my health was deteriorating when I was doing everything “right” by the book. I was listening to my doctor and some of the most well respected natural health experts but the harder I tried, the worse my health became. The TRUTH was that so many things that I was led to believe were “right” for my thyroid were actually some of the worst things I could have been doing and were only causing more damage to my thyroid. Doctors Are ONLY Interested In Pushing Drugs! When my doctor first noted my elevated cholesterol and blood pressure, he never mentioned anything about my thyroid. In fact, he did nothing but try to prescribe me drugs that do nothing but mask the symptoms instead of doing anything to correct the underlying cause of the problem. 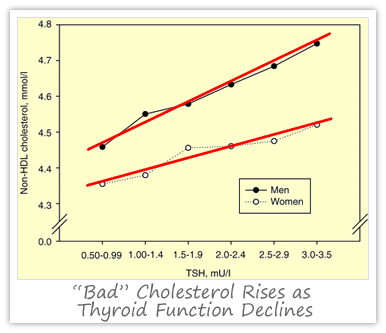 It wasn’t until years later that I made the connection between my elevated cholesterol and hypothyroidism when I stumbled upon dozens of research studies that showed that elevated cholesterol was directly and statistically correlated to hypothyroidism. This has been known and documented since the 1930s. When thyroid function declines, cholesterol rises because active thyroid hormone is required for the conversion of cholesterol into your protective youth hormones that keep you alive. It’s as simple as that. My doctor never shared this with me, and I’m sure your doctor hasn’t either. Needless to say, I wasn’t surprised when my cholesterol levels returned to normal without the use of my doctor’s drugs. Considering that Cholesterol Lowering Drugs are the #2 most prescribed drug (just under pain killers) goes to show you just how epidemic hypothyroidism really is. But it’s not just Cholesterol drugs… Blood Pressure, Hypothyroid, Acid Reflux, Diabetes, Anxiety, Insomnia, and Depression drugs are all in the Top 10 Most Prescribed Drugs list and are all related to hypothyroidism. Eur J Endocrinol. 2007 Feb;156(2):181-6. 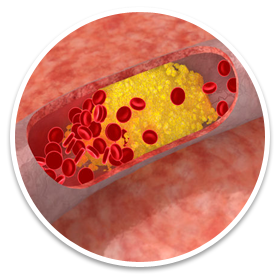 The association between TSH within the reference range and serum lipid concentrations in a population-based study. The HUNT Study. Do NOT Improve With Medical Treatment! Once you’ve been diagnosed by your doctor they try to push even more thyroid drugs on you. Just like the drugs mentioned above, thyroid drugs fail to correct the underlying problems and can oftentimes make your hypothyroidism worse. The standard medical treatment for hypothyroidism consists of nothing more than T4 only drugs like Synthroid or the generic name, Levothyroxine. But there have been a number of research studies showing that T4 only medications don’t work for 90% of hypothyroidism sufferers. They show ZERO improvement in symptoms and ZERO improvement in thyroid function even after years of using these ineffective thyroid drugs. In fact, as you can see from the study cited, symptoms became worse with those who were treated with the standard medical treatment when compared to hypothyroidism sufferers who went entirely untreated without any medication. Thyroid Insufficiency. Is Thyroxine the Only Valuable Drug? Including Iodine Are Toxic to Your Thyroid! A lot of people turn to natural health supplements looking for a solution to hypothyroidism. There are literally hundreds of different thyroid supplements out there, all claiming to be the answer that you’ve been looking for. But the research paints a very different picture. In reality, many of the natural thyroid supplements, like iodine, actually suppress and further damage the thyroid instead of helping. 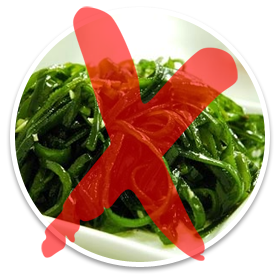 Even natural foods like kelp that are rich in iodine have been shown to have the same negative effect. There are literally hundreds of research studies that demonstrate iodine’s ability to suppress thyroid function, promote thyroid cancer, and drive autoimmune thyroiditis. But iodine is not the only one. In fact, some of the most commonly used natural health supplements are quite damaging to your thyroid and you don’t even realize it. 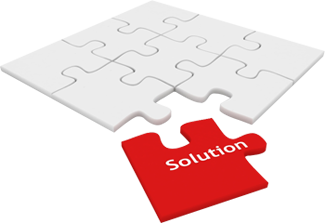 The truth is that there is NO “magic pill” or “magic powder” that is going to solve your problem. Your diet is the foundation of your health and no supplement is ever going to offset the damage caused by a thyroid suppressive diet. Acta Endocrinol (Copenh). 1985 Jan;108(1):55-60. Thyroid carcinoma and thyroiditis in an endemic goitre region before and after iodine prophylaxis. Every cell of your body relies on thyroid hormone to produce energy and to function properly. When you become hypothyroid and you can’t get the thyroid hormone that you need to your cells to keep them happy, it can negatively affect every cell, tissue, organ, and system within your body. Billions of dollars are spent every year trying to develop drugs and solve the riddles of many major diseases like heart disease and cancer. Despite an endless budget and an endless amount of resources, modern medicine continues to struggle and get nowhere in the “fight” against disease. The rates of all major diseases including heart disease, cancer, and diabetes continue to rise year after year after year. 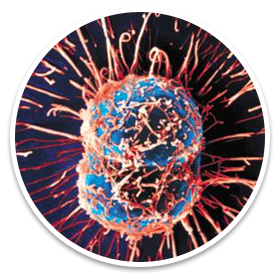 In fact, the World Health Organization estimates the number of cancer related deaths will double over the next 20 years. Yet, modern medicine continues to turn a blind eye to the research of some of the most brilliant scientists of the 20th and 21st centuries. Dr. Broda Barnes had proven the hypothyroidism heart disease connection as far back as the 1930’s. He even showed that heart disease could be reversed simply by correcting hypothyroidism. Yet, modern medicine simply ignores his research like it doesn’t even exist. [The influence of thyroid hormones on homocysteine and atherosclerotic vascular disease]. This trend of scientific ignorance is now continuing with cancer research as well. The work of other brilliant scientists, like Otto Warburg, who won the Nobel Prize almost a century ago for discovering and demonstrating the cellular defect that causes cancer, continues to be ignored by modern medicine to this day while more than a half a million people die of cancer every single year. Yet, even today research continues to prove what Otto Warburg discovered so many decades ago; hypothyroidism’s role in the development of cancer. Breast Cancer Res. 2003;5(5):R110-3. Epub 2003 Jun 5. Eur J Cancer Prev. 1996 Dec;5(6):504-6. Thyroid disorders and breast cancer. TRUTH: If You Value Your Health Then You MUST Address Your Thyroid! Hopefully, you’re beginning to understand the significance of hypothyroidism and how it affects every single aspect of your health. Simply ignoring hypothyroidism or playing it off as something that isn’t important “right now” is a serious mistake that can have severe long term health consequences. That’s like ignoring a little roof leak instead of fixing it. Before you know you’re stuck in a house that invested with a major mold problem and you become sicker and sicker. Fixing the leak when you found it would have saved you a lot of time, money, and effort, not to mention the years of health problems. Your thyroid works the same way. 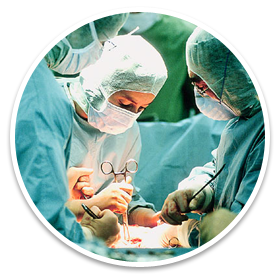 You can change your future and your health from developing into a major medical complications by simply fixing the problem today. 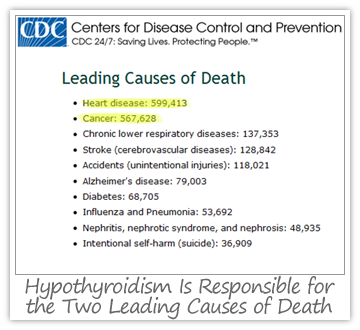 But, heart disease and cancer are not the only diseases that hypothyroidism leads to. Research continues to show hypothyroidism’s involvement in a number of diseases that all stem from the same metabolic dysfunction that hypothyroidism causes, including some of the fastest growing diseases in the world, like diabetes. While modern medicine continues to rely on the same illogical and poor thyroid testing methods, millions of people are misdiagnosed and wrongfully led to believe that their health issues stem from something other than hypothyroidism. Luckily, you’re smart enough not to fall into that trap. What you have to understand is that there’s a lot more involved in the health of your thyroid than simply the thyroid gland itself. 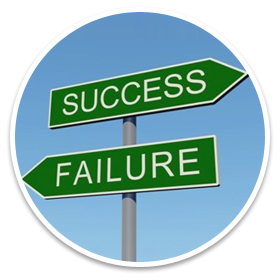 Focusing solely on the thyroid gland, or even supplementing thyroid hormone alone, is one of the fastest paths to failure. There’s an entire thyroid hormone pathway that needs to be properly addressed if you ever want to win the battle with hypothyroidism. If you don’t address the entire thyroid hormone pathway then it’s like trying to fill a bucket that is continually leaking. No matter how much water you add, if the bucket continues to leak you’ll never be able to keep it full. The same goes for your thyroid. 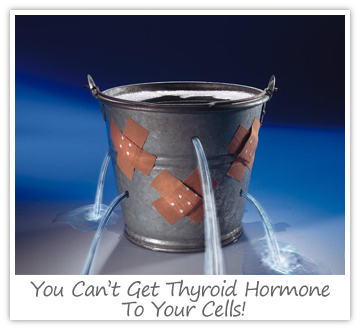 It doesn’t matter how much thyroid hormone you supplement, if your thyroid hormone pathway has leaks then you’ll never be able to get enough thyroid hormone to your cells and your health will continue to suffer. If you can’t get thyroid hormone to your cells, then it doesn’t matter how much thyroid hormone you supplement, you will always remain hypothyroid. It’s important to understand that the ONLY way to overcome hypothyroidism and take back your life is to permanently fix each and every hole in your bucket or else your bucket will simply continue to leak and you’ll get nowhere. This is why 99% of diets and treatments today fail, because they focus all of their attention on one little hole in your bucket while completely ignoring all the rest. Or worse yet, they try to plug one hole only to create another one, two, or even more holes in the process. Then you end up even more hypothyroid than when you started. The only way to truly overcome hypothyroidism is to plug all of the holes, or correct all of the underlying causes that are disrupting your thyroid hormone pathway and preventing your cells from utilizing thyroid hormone effectively. Re-establishing balance to your entire thyroid hormone pathway and correcting your metabolism so that you’re cells can utilize thyroid hormone effectively and efficiently is absolutely key. But there are many problems, many self induced, that prevent this from happening and perpetuate hypothyroidism itself. The truth is that you ARE eating foods full of thyroid suppressive toxins every single day. You just don’t realize it. You MUST remove the thyroid suppressive foods in your diet and instead focus on the right foods that stimulate your thyroid to produce an abundant amount of thyroid hormone to keep your cells happy and healthy. Eating foods full of thyroid suppressive toxins is like throwing fuel on the fire. It will only continue to drain you of more energy, make your symptoms worse, promote even more inflammation, and further damage your thyroid. But there’s a major disconnect between what YOU believe to be healthy foods and what research tells us is healthy. In fact, many of the health foods today that people go out of their way to eat daily are extremely thyroid suppressive. 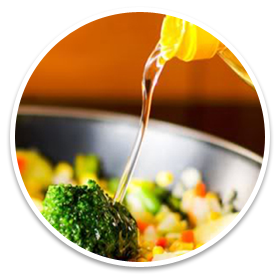 For example, most of the supposedly “healthy” oils that are used widely in restaurants and that we are told are essential in our diet are some of the worst offenders. But this is just the tip of the iceberg because there are so many other foods that you are eating that are only pushing you further and further into hypothyroidism. Problem #2: It’s NOT Just What You Eat, It’s How You Eat It! You are probably stuck in the mindset that a healthy diet is based entirely whether or not you eat “healthy” foods. If so, you’re making a huge mistake. While eating the “right” foods is essential, you MUST also balance your diet precisely and supply your thyroid and cells with the correct amounts and ratios of specific nutrients in order to restore metabolism and re-balance the entire thyroid hormone pathway. When building a skyscraper, the foundation is the most important part. If the foundation is weak then the entire building will come crashing down. The same goes for your thyroid. If you don’t balance your diet properly and create the proper foundation for your new health, then it will all come crashing down and you’ll be right back where you started, or possibly worse. For example, your thyroid requires 70 to 100 grams of high quality protein each day just to function properly. But this protein has to be properly balanced with the right amounts and types of carbohydrate and fat. Otherwise, when protein is unbalanced in your diet then it will suppress your thyroid. And remember, not all protein is created equal. It must the “right” type of thyroid supportive protein. Not only is effectively balancing your diet one of the most overlooked pieces of the hypothyroidism puzzle, restoring balance to your diet is essential for your cells to produce endless energy all day long. Whether you realize it or not, there are other hormones that both directly and indirectly affect the health and function of your thyroid. If you want to overcome hypothyroidism then you MUST correct the underlying hormonal imbalances that are inherent with hypothyroidism and that are holding your thyroid on lockdown. It’s like trying to drive your car with the parking-brake on. You can push hard on the gas pedal but your car just sputters. The same goes for your thyroid. You can give your thyroid everything it needs to function but if there are other suppressive hormones holding your thyroid on lock-down then it will just continue to sputter as well. When hypothyroidism develops, it drives the over-production of various hormones that are well known for suppressing thyroid function. 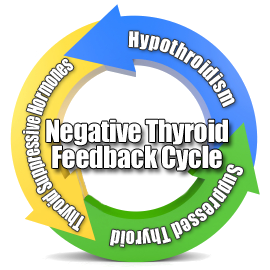 Because of this, negative feedback cycles develop where these thyroid suppressive hormones further suppress thyroid function and therefore make you more hypothyroid. As you become more hypothyroid, you produce even more of these thyroid suppressive hormones and therefore further suppress your thyroid even more. These negative hormone feedback cycles continue on and on. 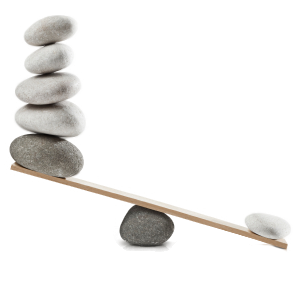 Once this balance is lost, these thyroid suppressive hormones continue to punish your thyroid, driving it into the ground to the point that it never even has a chance. In order to correct hypothyroidism and heal your thyroid, you have to break these negative hormone feedback cycles for good and restore balance to the entire system. Yet, everyone focuses solely on the thyroid itself and they fail address these extremely important underlying hormonal causes of hypothyroidism. Let’s face it, life is too short to let hypothyroidism hold you back from living the life you’ve always wanted, full of energy, motivation, fun, and pure enjoyment. You just have to make the decision that you’re no longer going to settle for a poor quality of life. You just have to be willing to stand up and take your health into your hands. You deserve better, and you know it. But you need a plan. You need a road map that can show you the way to your destination. That’s why I’m here. I want to guide you through the most amazing transformation that you could ever have imagined. It’s already happened for thousands of others just like you. Just read the success stories on this page and see for yourself. You’re about to discover one of the biggest breakthroughs in thyroid and nutrition research and hormone physiology. Unlike any other approach to hypothyroidism, this program addresses every facet of hypothyroidism from the thyroid gland, covering the entire thyroid hormone pathway, and down to the cell hormone receptors themselves. It has been used by thousands of hypothyroidism and Hashimoto’s Thyroiditis sufferers with unparalleled success. It takes extremely complex physiology and breaks it down into a simple, easy to understand, and step-by-step approach that anyone of any age or any stage of hypothyroidism can use, even if you’ve had your thyroid removed or damaged by RAI Treatment. You don’t have to continue relying on doctors and practitioners who have no answers or spend thousands of dollars to see specialists who still aren’t trained to effectively address all of your needs. The purpose of this Hypothyroidism Revolution is to put the power back into your hands and arm you with the knowledge to naturally and permanently end hypothyroidism and take back your life. I was tired of getting the run-around by my doctors and getting nowhere following the advice of natural health doctors. It’s safe to say that I’ve followed enough dead-end streets and failed enough times for the both of us. When I formulated this program my goal was to create the most complete solution that covers every facet of thyroid health and in a way that was simple and easy to understand, follow, and implement in your life. This isn’t some confusing or incomplete medical book that’s going to leave you stuck with more questions than when you started and with no clue where to even begin. This is designed for real people, just like you. When I first discovered the research that I used to formulate this program, it completely changed the way I thought about health. As health across the world continues to decline and the rates of virtually every disease continue to rise, this research holds the key to changing this negative trend. But, modern medicine continues to ignore the research and instead chooses only to focus on creating more harmful drugs to push on you instead of addressing the underlying causes of your hypothyroidism. This program will open your eyes to the latest thyroid research that you’ll otherwise never see. While this research and understanding of thyroid health is very different than anything you have ever seen before, my own personal transformation and the number of success stories speak for themselves. Take back your life by finally stopping hypothyroidism at the source! Jump out of bed each morning ready to start your day with so much more energy! Enjoy and embrace every second you have with your family and friends! 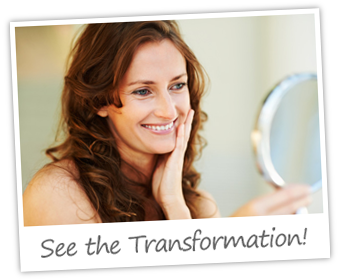 Erase years of accelerated aging and look and feel years younger! 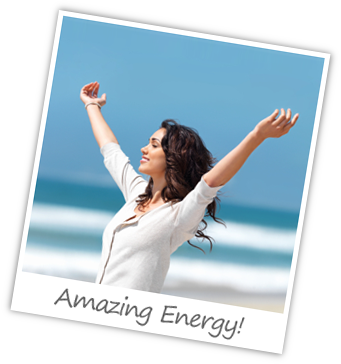 Easily maintain boundless energy all day long! Handle any stress with ease, calmness, and clarity! Experience true happiness and calmness as you rid yourself of anxiety and depression! Add healthy years to your life to spend with the ones that you love most! Experience what it truly means to sleep like a baby! Look and feel healthier than ever before! Experience clear, smooth, and flawless skin, hair, and nails! Allow your weight to normalize naturally in the only healthy and sustainable way! Reduce or even eliminate your risk of developing cancer, heart disease, or autoimmune! Say goodbye to digestive upset and food allergies that are imprisoning your life! Develop a bullet-proof immune system making you more resistant to colds and infections! Enjoy razor sharp mental clarity! Put yourself back in the driver seat of your life so you can life it to the fullest! During Phase 1 of the Hypothyroidism Revolution Program, the magic begins to happen as you begin to notice many positive changes occurring. You will begin your progressive transition towards the ideal thyroid healing diet that will give your thyroid the big boost that it needs to help your cells produce more than enough energy for you. By the end of Phase 1, your energy levels will be rapidly on the rise and you will feel amazingly satisfied with zero food cravings. You will feel in control again as your mood drastically improves and any sign of depression and anxiety begin to disappear. Your family and friends are going to notice some major positive changes in you. You will also begin to experience many of the outer changes that come with improved thyroid function. You’re skin will begin to clear up and glow while your hair and nails will begin to look healthy again. As you ease into the thyroid healing diet, you will progressively remove the foods that suppress your thyroid, disrupt your thyroid hormone pathway, cause digestive upset and irritation, and cause toxic byproducts that congest your liver. At the same time, you will be progressively adding the foods that will be supplying your cells with the right balance and combination of nutrients that they need to thrive and produce endless amounts of energy. 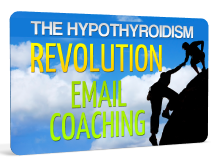 Phase 2 of the Hypothyroidism Revolution Program is all about accelerating your results to a whole new level. If you thought that you felt good during Phase 1, this phase is going to have you feeling like a completely different person. You will be introduced to the 3 key nutrients necessary for reversing those nasty negative hormonal cycles that are currently holding your thyroid hostage. You will be sleeping like baby, wake up feeling completely refreshed, and experience a huge boost in energy all day long. You will also watch, firsthand, as your thyroid heals as you physically track your thyroid function throughout this process using the most accurate tests for thyroid function. As you make the transition into the full thyroid healing diet using all of the provided resources (recipes, meal plans, diet calculators), you will begin to fine tune your diet to your specific needs that will leave you feeling your absolute best. At the end of Phase 2 you can rest assured that you have reversed years of accelerated aging, leaving you 10 to 20 years younger while adding precious years to your life. You are already a brand new person and Phase 3 of the Hypothyroidism Revolution Program is all about continuing to build upon the foundation that you just built. You will begin to implement minor changes designed to help fortify and protect your new found health for life. You will begin to incorporate healthy lifestyle factors such as the “right” kind of exercise that helps boost your thyroid instead of the “wrong” kinds of exercise that are so common today, which only drive your thyroid into the ground. But most importantly, in the end you’ll take a step back and look at where you started and see the major transformation that has occurred during the program and celebrate the fact that you will never have to be that person ever again. This is your owner’s manual to healing your thyroid. It is going to take you through everything that you need to know about the Hypothyroidism Revolution Program, in simple and easy to understand terms. There’s no medical jargon to confuse you. There’s a reason why this Program is so revolutionary and that’s because it contains so much cutting-edge information that it’s going to blow your mind. Instead of continuing to be misled and lied to by the media and big corporations who care only about their own profits and NOT your health, I’m going to expose you to information based entirely on independent research that paints a very different picture. This Complete Program is truly the bible of how to heal your thyroid, stop the disease process, and achieve optimal health for life. I also don’t believe you should have to learn and understand complex science and physiology in order to reap the benefits, which is why I designed this Quick Start Kit so that you can focus on getting results first. This Quick Start Kit is like your personal guide designed to hold your hand and walk you through the entire program. It takes away any confusion you might have and helps to keep you on track, every step of the way. This 60 Day Step-By-Step Daily Plan is the very effective and efficient process that I use to walk my clients through this program from start to finish. You’ll have the direction and structure you need to know what to do each step of the way. 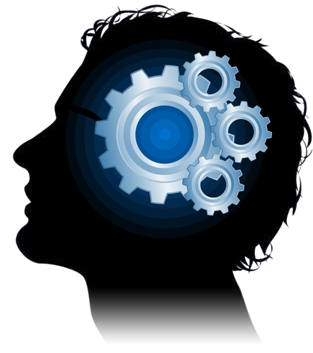 It also contains the key to success for the entire program which you don’t want to miss. This Quick-Start Diet Guide is designed to remove any confusion you could possible have about your diet by giving you the nuts and bolts of the thyroid healing diet in a condensed version that you can easily carry with you. Learn exactly what foods you are eating today that are damaging your thyroid and what foods you should be eating to help it heal. I’ve spent years accumulating a list of the best resources that I both use personally and share with my clients to make their lives easier. There’s no sense in leaving you to do the dirty grunt work when I’ve already done it for you. So, I’m more than happy to make your life easier and help you save far more than the cost of this program by helping you get the best prices. If you know me then you’ve probably heard me say many times that supplements were never designed to replace a healthy diet; they were designed to supplement a healthy diet. This Quick-Start Supplement Guide is designed to work together with the thyroid healing diet to maximize your results. Using some very specific supplements, you can really speed up the healing process. This is my personal thyroid healing cookbook that I used to overcome my own hypothyroidism, and I can’t wait to share it with you. It contains 48 delicious and thyroid healthy recipes including 6 dessert recipes that are some of the most healing recipes in the cookbook. It doesn’t get any better than that. I hope you’re in the mood for ice cream, custard, and cheesecake. It’s all about balance and each recipe of my cookbook has been specifically balanced with respect to each nutrient to ensure that your thyroid and body produce endless energy. Did you think I was just going to hand you a cookbook and send you on your way? No way! I wanted to make this as easy as possible. I’ve included Done-For-You Meal Plans using the recipes straight out the Hypothyroidism Revolution Cookbook to make your life easy as pie (or ice cream at least). 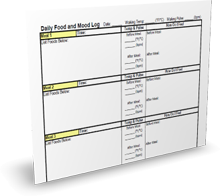 I’ve formulated two sets of meal plans, one for men and one for women since your dietary needs are going to vary. But you get both so that even your loved ones can embark on this journey with you and feel the amazing effects for themselves, firsthand. It doesn’t get much easier than this… or does it? I’m sure you can easily imagine that I’m quite the busy person. And one thing that I hate more than anything is wasting valuable time. 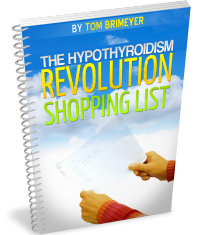 So when I have to go shopping, I use this Hypothyroidism Revolution Shopping List to make it as easy as possible. It’s hard enough to remember what you are supposed to be eating when you start a new diet. No more trudging through the store wondering what you were supposed to get, only to come home with foods that you didn’t need and missing a number of foods that you need for tonight’s dinner. All of the healthy foods are right there for you. There’s really no sense in wasting what little energy you do have being frustrated and upset at the grocery store. So, I actually thought of a way to make things even EASIER for you. Cookbooks are great but they never help you customize the recipes for a party of ten or a party of one. And what if you want to use a smaller serving size? That’s no longer a problem because I’ve created a custom recipe calculator that lets you customize the serving size and amount of food that you want to make each and every time. Simply adjust the serving size to fit your needs and all of the ingredient quantities and nutritional information automatically update for you, eliminating all of the guesswork. Want to customize your diet to your own needs while still easily ensuring that your meals are properly balanced with all of the necessary nutrients that your thyroid needs and in the perfect proportions to make sure that your thyroid is working to its full potential? This calculator helps you do just that. You simply enter the foods that you’ve eaten for any given meal or for the entire day and it will do all the work for you. It will tell you exactly how balanced or unbalanced your meals are so that you can easily work on fine tuning them to your needs. Not only are you about to learn exactly how to measure your progress using the most accurate and scientific means possible, but you are going to use this tool to track your progress as you go and in the comfort of your own home. 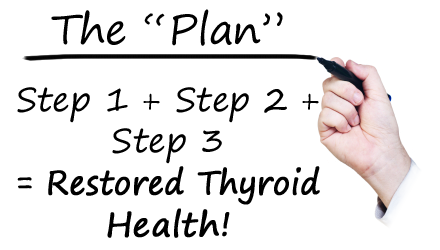 Stop wasting your hard earned money on inaccurate tests when I show you how to do for free. This tool also serves as a major source of motivation because you will get to see your thyroid function improve while your energy skyrockets and you achieve the level of health that you once thought was impossible. If you want evidence that it’s working then here it is. By tracking your meals together with your thyroid function you can effectively determine which meals give your thyroid the biggest boost and provide you the most energy. And you can also determine which meals, if any, aren’t working well for you. This can be very useful for helping you to fine tune your diet for the absolutely best results in the least amount of time. 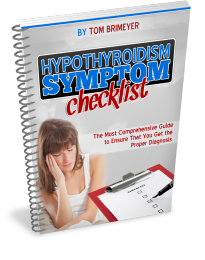 This Hypothyroidism Symptom Checklist is extremely important for a couple of reasons. 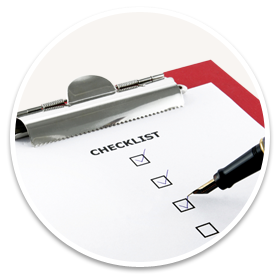 For starters, it’s important to go through this checklist so that you can associate any and all of your chronic health symptoms and their connection to your hypothyroidism. Most of my clients suffer from multiple symptoms that they never imagined could be caused by their hypothyroidism. It also serves as a great progress tracking tool as you go through the program and especially at the end. It can make all of the difference to sit down and compare your list of symptoms before and after the program to see just how far you have come. Let’s face it, this is the hands down, most comprehensive thyroid therapy protocol that helps you get your life back by stopping hypothyroidism at the source. This is not some blind toss of the dice that works for a small subset of individuals while the rest end up getting nowhere. And this isn’t some long boring medical book that leaves you confused and with more questions than when you started. It’s a results oriented program that focuses on getting you RESULTS. But let me be completely honest with you because this program is not right everyone. This revolutionary program is ONLY meant for people who are serious about overcoming their hypothyroidism forever and making the absolute most out of life. It takes some commitment to follow the program as designed for maximum results. After working with clients for years, it has become quite clear which clients are dedicated to changing their lives and overcoming hypothyroidism and those who are more interested in coming up with excuses for why they can’t seem to commit. And, if you’re looking to find the newest secret supplement or magic pill then you’re definitely in the wrong place. There is no and never will be a magic fix for hypothyroidism and your health. Unless you’re willing to make the effort to eliminate the underlying cause your hypothyroidism and lay down a solid foundation of health that will keep your thyroid healthy for life then you will never achieve the permanent results that my clients achieve. How ready are you to take back your life? How good is it going to feel to wake up every day and focus on what matters most in your life instead of merely struggling to survive? How much more energy do you want to have since you’ll be in complete control? You can continue to do nothing and struggle through a life of hypothyroidism, watching your health continue to suffer and decline. Or, you can join me in the revolution today and take back your life and your health and put an end to your suffering once and for all. For starters, you can’t put a value on adding happy and healthy years to your life, but that’s only part of the investment. So, it’s no exaggeration that my revolutionary program could easily save you tens of thousands of dollars in healthcare costs not only in your lifetime but quite possibly each year with the way things are going. Nothing in the stock market or otherwise can offer you that good of an investment. No matter what happens in life, all you ever really have is your health, right? Now, if I worked with you one-on-one then your investment would be the same $847 that all of my clients pay to achieve unprecedented results each and every time. While that’s still one of the best investments that you could make in life, I’m not going to ask you for that kind of investment. But, I do reserve the right to remove this exclusive discount at any time with no exceptions whatsoever. Get $820 Worth of FREE Bonuses When You Start Today! Life was meant to be a beautiful experience, not some ruthless struggle. And I’m going to lead you down that lost path, back where you lost control of your life a long time ago. And if you ever get confused along the way or forget which way you were going then I’ll be right there with you to point you in the right direction. Let’s face it, you could go out and buy any book on hypothyroidism (you may have already) and all you’re left with is a book that will likely spend the remainder of its life collecting dust on your bookshelf or jumping from garage sale to garage sale. Is the author going to check in on you to make sure that you understand and follow the information correctly? And that’s just one of the many things that separate me from just about any other practitioner or author out there. Plus, I can guarantee that you will not find the amazing methods that I show you in any book or otherwise. To go that extra mile, I’ll be providing you with regular coaching emails to help you with every step of way. This email coaching is designed to ensure that you stay motivated and hold you accountable, which are both important keys to success in every aspect of life. They also help answer any questions you might have along the way. This is something that I typically only offer my clients but that I’m opening up to you, today for FREE. Change isn’t always easy and I understand that. Different people come from different walks of life, which makes it difficult to cater a program specifically to everyone. So, I have created a number of supplemental eating plans to help make the transition even easy no matter where you’re starting from. The Slow and Steady Eating Plan is for those who are intimidated by the pace of the program and prefer to take a slower and steadier approach. The Frequent Traveler or Workaholic Eating Plan is for those who are limited by time and require a more convenient approach. The Budget-Friendly Eating Plan is for those who are on a tight budget and need help determining the best foods and supplements for their money. The Kid-Friendly Eating Plan is for those who are working through the program with a child and who wish to make this a more positive and fun experience. The Chronic Low-Carb Dieter Eating Plan is for those who have a severely damaged metabolism from extensive use of low-carb type diets. One of the main reasons you are doing this program is to break through the chains of hypothyroidism and enjoy the freedom that you are about to experience. While I do provide more than enough dietary tools and resources that you really don’t even need to think about food (just eat it! ), I also wanted to give you the freedom to create your own meal plans if you wish. 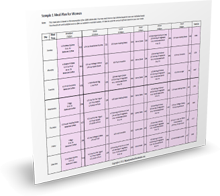 This Advanced Diet Planning Guide walks you through the exact process that I use for coming up with my own meal plans as well as the meal plans you will use in this Program. Not everyone enjoys math… Actually very few people do. 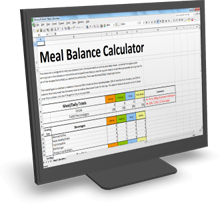 So, I created this customizable meal calculator that will allow you to create and customize your own meals and ensure that they are still well balanced enough to stimulate your thyroid. I’ve really thought of everything possible to make this as easy, simple, and successful as possible for you. You liver requires thyroid hormone to do its job of detoxifying toxins that accumulate in your body on a daily basis. So, if you’re hypothyroid, then you can bet that your liver is suffering. This is one of the reasons that reducing your toxic exposure is extremely important while you heal your thyroid. This checklist has been a great tool for my clients to help them go through their own homes and replace the most highly toxic products that they are using on a daily basis with non-toxic alternatives. In this checklist we’ll look into all of the rooms of your home from your wash room to your bedroom, exposing the most toxic products found is almost every household. Imagine waking up feeling completely rested, full of energy, and ready to start the day. 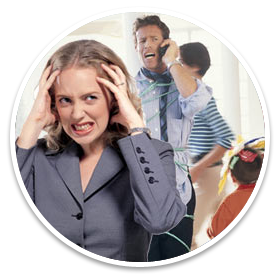 Imagine going through your day and being able to concentrate on work and your family without feeling overwhelmed with stress. Imagine living the rest of your life the way that life was meant to be enjoyed, knowing that you are in total control of your health. What’s Going to Happen If You Don’t Take Control of Your Thyroid Now? Think about that about that for a moment. Where will you be and how will you look and feel in 6 months if you don’t get started with the Hypothyroidism Revolution Program today? Do you honestly think that you’ll see any improvement in your thyroid health? I didn’t think so. Even though thousands of people have had success with this program, I know you may feel a little hesitant because you don’t want to have wasted your time and money and purchased something that wasn’t right for you. I understand that. We’ve all been there. But I also know that you need to take a chance and give it a shot, otherwise, you will never get any closer to living a life free of hypothyroidism. “100% Results or Your Money Back” GUARANTEE! Let’s face it… Who else is willing guarantee your results? In fact, the only guarantee that you’ll get from anywhere else is a guarantee that you’ll be paying the bill regardless of your results. But, I want to help make your decision easier because I know that you’re going to fall in love with the “new you” once you get started on my Hypothyroidism Revolution Program. My program has already worked for thousands of hypothyroidism sufferers so, yes, I’m that confident in my thyroid program that if you don’t feel energized, healthier or if you’re not enjoying life with your family and friends then I’ll personally work with you to determine exactly where you’ve gone wrong or refund your money. And that is my promise! This truly is a once in a lifetime opportunity to change the course of your life and create the life that you want and deserve. I can’t wait to see the new you. P.S. This is really important! Not only is my Revolutionary Program backed by a completely risk-free, 60-day money back guarantee…but I’m even throwing in an extra $820 worth of bonuses for you. The only way you can possibly lose is by not following the program! Because I reserve the right to remove this limited time $200 Discount at any time (no exceptions! ), please don’t make the mistake of waiting to ‘think this over’. P.P.S. 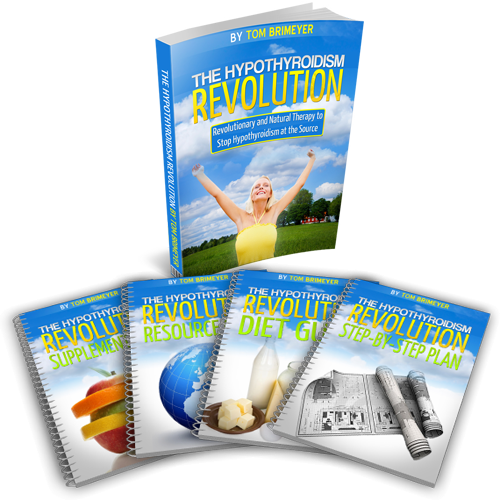 The Hypothyroidism Revolution Program is offered as a discounted downloadable program that provides you instant access immediately after you order. Upon purchase you will be directed to a download page where you will be able to download the adobe acrobat PDF and excel XLS files, which can easily be viewed on both Mac and PC. 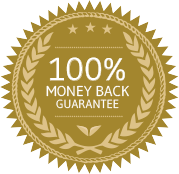 If you choose to upgrade to the hard copy and have the program delivered to your doorstep then you will be required to return the hard copy before receiving a refund. 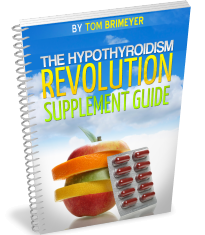 What Are the Most Frequently Asked Questions About the Hypothyroidism Revolution System? 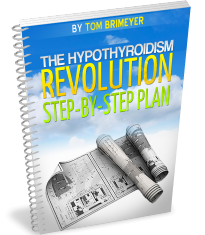 Q: "Ok, I want to get started but how do I receive the Hypothyroidism Revolution System?" 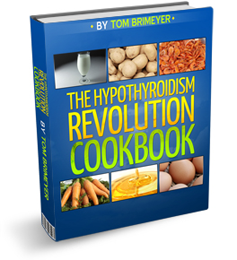 The Hypothyroidism Revolution System is available in both digital and physical format. 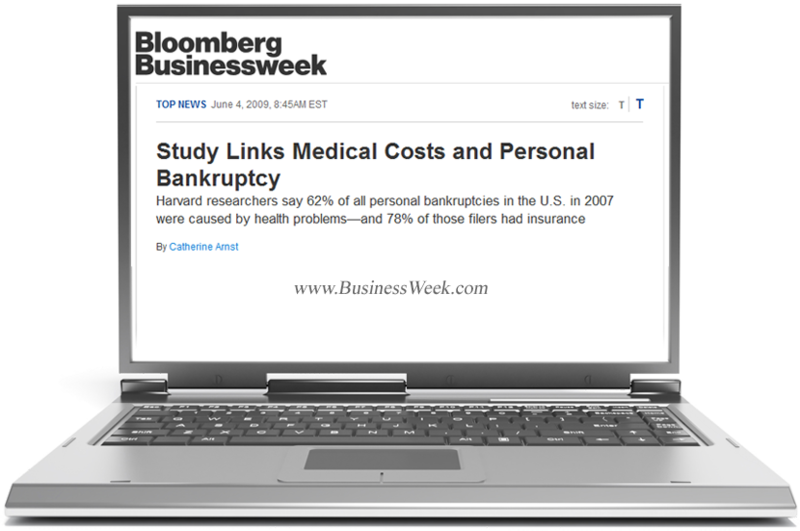 The digital format consists of a series of PDFs that are easily downloaded directly to your computer, eBook reader, or other personal device. This allows you to save on the cost of the materials and shipping. The physical format comes with everything included in the digital format but in book form that is shipped directly to you. Please keep in mind that with the physical format, you also get direct access to the digital format at no additional cost, so you can get started while you wait. 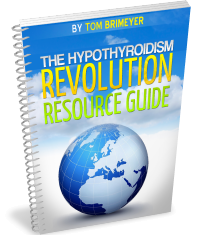 Q: "How do I know if the Hypothyroidism Revolution System is right for me?" Maybe you think you’ve tried everything. Yet, we can guarantee that you haven’t tried this yet. The Hypothyroidism Revolution System is based on the latest breakthroughs in hypothyroidism diet and treatment research. If you’re you’re still struggling with thyroid symptoms or still going undiagnosed by the inaccurate medical tests used today then you deserve to live the life you want. If you’re struggling with any of the common thyroid symptoms such as fatigue, weight issues, sleep problems, muscle and joint pain, mental fog, mood issues, digestive issues, hair, skin, and nail problems, cold sensitivity, etc. — then the Hypothyroidism Revolution System is definitely, designed for you. But you’ll never know unless you try it. And it’s backed by a “no questions asked” 60-day money back guarantee. So, what do you have to lose? Q: "But I already eat a healthy diet, do I still need this?" That depends on your idea of healthy. In our experience, what 99% of people believe is healthy is actually damaging their thyroid. What we show you will completely blow you away. 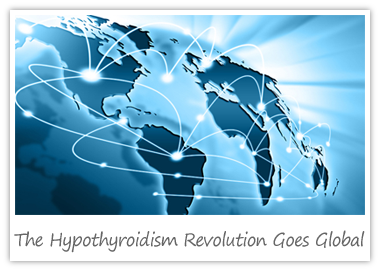 Q: "Will the Hypothyroidism Revolution System work if I have Hashimoto’s Thyroiditis?" A: The short answer is yes. With Hashimoto’s there is both a hypothyroid and immune component that need to be addressed and it’s driven primarily by your inability to regulate estrogen. Estrogen directly blocks your thyroid gland. It can cause the thyroid to over-produce thyroid hormone while blocking the proteolytic enzymes that allow the release of stored thyroid hormone into your bloodstream. Estrogen is also very well known for causing damage to the thymus gland and causing an increased risk of Hashimoto’s and other auto-immune conditions. The good news is that once you correct the metabolic dysfunction and your body’s ability to regulate estrogen, the thymus gland can heal and help restore proper immune function. Q: "Will the Hypothyroidism Revolution System work if I have had my thyroid removed or had RAI treatment?" A: Yes, the System will still work. The only difference is that you will need to supplement thyroid hormone to the degree that your body cannot produce it. However, it’s important to understand that just because you take thyroid hormone doesn’t mean that the hormone is getting to your cells. You can supplement all of the thyroid hormone you want but if your thyroid hormone pathway is blocked (which it almost always is) and you can’t get the hormone to your cells then you will still be hypothyroid. Q: "Will the Hypothyroidism Revolution System work for me if I have food allergies?" A: Yes. Food allergies are caused by digestive leakiness due to a lack of thyroid hormone, energy production, and dysfunctional metabolism of the cells that line your digestive tract. When unable to properly energize, these cell membranes become weakened allowing undigested food particles to permeate directly into your bloodstream. By regulating your thyroid and metabolism, and restoring energy production to your digestive tract, these cells will regain their rigid structure and food allergies will resolve. Many of our clients report not only significant improvements in digestion but also food allergies that have resolved. 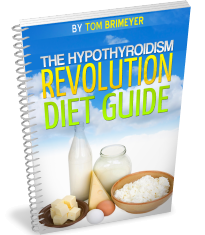 Q: "Will the Hypothyroidism Revolution System work for me if I have another health issue?" A: Current science and research continue to show that many diseases stem directly from hypothyroidism. You see, sufficient thyroid hormone is necessary for normal energy production and to support the health and function of every cell, tissue, and organ of your body. So, hypothyroidism can negatively affect any and every part or system of your body, promoting disease and many health issues. In our experience, by simply regulating your thyroid and restoring your cells’ ability to produce energy, we have seen significant carry over into the improvement and oftentimes resolution of many health issues. Q: "What are some of the diseases that have been linked to hypothyroidism?" A: There are many diseases and dysfunctions that have been linked to hypothyroidism but here’s a short list of some of the less-commonly discussed ones: chronic fatigue (CFS/ME), obesity, anemia, Fibromyalgia, depression, fertility issues, osteoporosis, autoimmune, and even heart disease and cancer. Orzechowska-Pawiłojć, A., “The influence of thyroid hormones on homocysteine and atherosclerotic vascular disease” Endokrynol Pol. 2005 Mar-Apr;56(2):194-202. Shering, SG., “Thyroid disorders and breast cancer.” Eur J Cancer Prev. 1996 Dec;5(6):504-6. Ratcliffe, J. G.,”Thyroid function in lung cancer” Br Med J. Jan 28, 1978; 1(6107): 210–212. Turken, O.,”Breast cancer in association with thyroid disorders.” Breast Cancer Res. 2003;5(5):R110-3. Epub 2003 Jun 5. Q: "What if I need more help?" Yes, you may need more help. You may need support. You may need clarification. You may have questions. 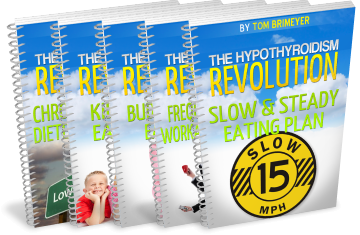 I’ve been doing this long enough now to know what most of those questions will be, and I’ve answered all of the basic ones and many of the advanced ones in the Hypothyroidism Revolution System itself. For those questions that aren’t answered here or in the program itself, rest assured that you’ll have on-going email support. You will be fully supported 100% of the way — that’s my promise to you!